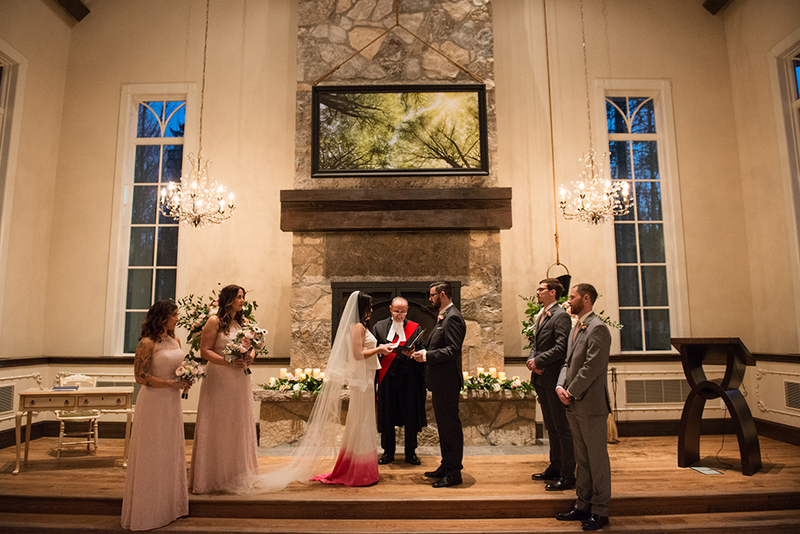 Leave it to a #realbride as cool and bold as Lauren Jones to turn heads in her dip-dyed Ines two-piece. Styled from head-to-toe with every detail in mind, this bride goes down in the history books for being as bold as it gets, while still being a true #&FL chilled out bride. Trends come and go -in bridal, in fashion, in interior design, but when you truly express yourself it transcends to world of trends and becomes true style! Lauren incorporated unexpected and unique accessories to make her Ines gown and her special day the truest expression of her style -and did it work? You bet! We've never seen the Ines gown look cooler. Michael and I are different in a lot of ways. He's introverted, I'm extroverted. He is very logical, where I can be more driven by emotion. He's a software engineer, and I work in communications and marketing. I feel like we're a great foil for one another. Michael challenges me and teaches me so much, and that's what I love most about him. One of my favourite things to do with him is just sit around at home and talk over wine while listening to music. His perspective is so different from mine on many topics, so our conversations are always either enlightening, entertaining, or exasperating! We had been together for twelve years before we got married, so it's tough to think back to just one moment throughout that time where I knew he was The One. I often think back to something his father has said about us, and something my mother has said. "You get him out into the world, and he keeps you grounded" - Michael's dad. "No matter what you guys are doing, you're always having fun." - My mom. It was really important for me to feel like myself on my wedding day. That was really the only criteria that I had going into dress shopping. I didn't want to feel like I was wearing a bride costume, you know? My wardrobe has a lot of black and basics that I dress up or down with accessories and jackets - I kind of have a jacket addiction, well, that and sneakers. Like my everyday clothes, I wanted my bridal look to be versatile so I could tweak it over the course of our wedding day. Now that the wedding has come and gone, I think I'd describe my bridal style as: classic girly punk realness, or something similarly extra haha. The flash of pink at the bottom initially caught my eye when I saw the Ines on the rack. Pink is my favourite colour. I fell in love with the dress when the LoversLand consultant placed the veil on me and showed me the back of the whole look using a big stand up mirror. I don't know what it was - maybe it's because I don't usually see myself from that angle - but it was kind of like I could see myself through the eyes of someone else, and the vision matched how I felt: this is so me and so perfect for me. I actually got teary eyed, which I was not expecting! "One of my favourite things to do with him is just sit around at home and talk over wine while listening to music. His perspective is so different from mine on many topics, so our conversations are always either enlightening, entertaining, or exasperating! " 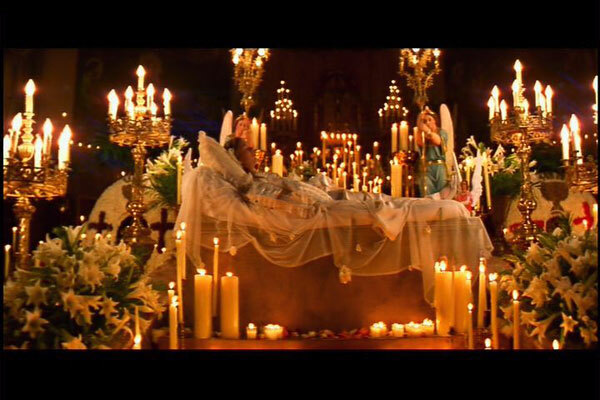 My original wedding day inspiration was the final church scene of Baz Luhrmann's Romeo & Juliet - specifically the neon lights, tons of flowers, and abundance of candles. Buuuut once I started meeting with vendors and got quotes on flowers and things, I quickly realized that I had to dial it down! The one idea I stuck with was lots of candles. The vibe we wanted was warm and romantic, but not stuffy. Aside from the obvious - finally marrying my best homie - my favourite part of the day was the speeches from our bridal party and parents. It was really moving to hear the most important people in our lives share their thoughts on us as individuals and as a unit. Accepting and loving someone for everything they are, everything they are not, and everything they wish to become. It's easy to get bogged down with the minutiae of planning, but when the day comes, nobody will give a second thought to the tiny details that were stressing you out. Don't be afraid to ask your friends and family for help when you need it. 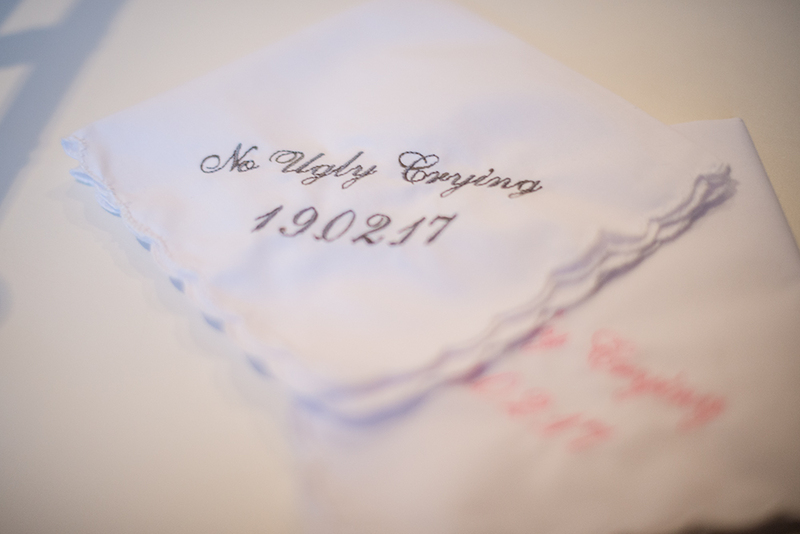 As for wedding day advice, when other people say "enjoy it because it goes by so quicky" - they aren't lying! Soak it all in because it's over in a flash. Continuing to move through life together.